FORGET seeing Madonna or Mariah in concert - the music of our massive mammals is what you really need to hear. This month is the perfect time to go whale watching, because it's the best time to hear humpback whales singing. Pacific Whale Foundation Senior Research Biologist Stephanie Stack said only mature whales sang and this month was when most started arriving in Hervey Bay for their migratory stopover. She said songs would typically last for about 20 minutes but individual whales might sing incomplete songs or repeat songs several times. "Humpback whales can sing for hours on end and singers will surface every 10 to 20 minutes and keep singing with only short pauses to breathe," Ms Stack said. "Songs have a hierarchical organization with 'units' building into 'phrases' which, in turn, form 'themes' which, together, comprise the song." She said there was no consensus in the scientific community about the function of whale songs but communicating underwater was challenging. "Light and smells don't travel well but sound moves about four times faster in water than in air, which means marine mammals often use sounds to communicate," Ms Stack explained. "Most song occurs in breeding areas, but song has also been recorded along migration routes and even occasionally in feeding areas." 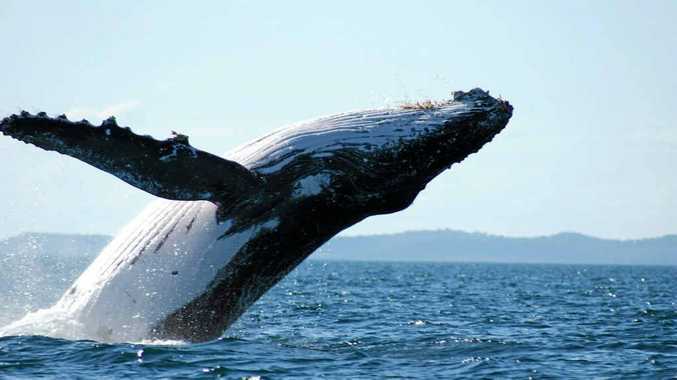 She said there were several theories about the purpose of humpback whale song including attracting females to individual singers or a group and communicating with other mature whales for dominance or cooperation. "Female humpbacks rarely approach singing males, suggesting the song may represent a form of male-male acoustic display," Ms Stack said. She said noise pollution was a growing concern for researchers. "Increasing noise in the ocean could cause a disruption of natural whale behaviour such as feeding, mating and communication." Could the Logies be headed for the Whitsundays?